Coming around again like the cars on Oasis in their constant death-loop, it’s Overwatch This episode 11. We’re heading at breakneck speed for December 13, when winter comes to Overwatch for (probably) three weeks. Plus a little eSports, because why not? 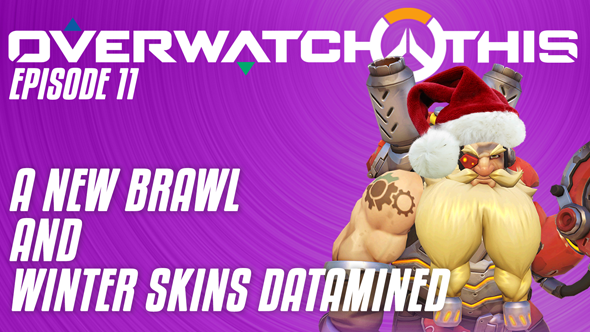 Do take a look at our Overwatch Christmas skin guesses while you wait. The winter event datamining and announcement. What we’ll see, and for who, analysed and guessed. The big three-team, eight-player trade between Misfits, Rogue and Luminosity. I mistakenly call a German man a Belgian. Sorry Skipjack. As always, sub to our YouTube channel for more – and let us know below or in the comments there what you think the best bet for Overwatch winter cosmetics are.